What Are Truck Driver Labor Laws? In the United States, truck drivers must keep a 24-hour logbook while on duty. Commercial motor drivers can only work 11 cumulative hours within a 14 hour period. Drivers are then required to rest for a minimum of ten hours. A recent mandate has made electronic onboard recorders mandatory, which record the actual driving time of a truck. Anyone would be tired after an 11 hour work day, but there are a list of other factors that could contribute to a truck accident. Car accidents can come in many different shapes and forms, ranging from mild to serious in severity. When you are involved in a truck accident, it is often a critical situation, because trucks are so much bigger than the average car. Collisions involving tractor-trailer trucks can result in serious injuries to both the driver of the truck and to the drivers and passengers of other vehicles. Several departments and administrations monitor truck accidents and try to decrease the number of accidents that occur each year. The causes of these accidents are recorded and are used as tools to reduce the number of accidents. The trucking industry transports goods across the country and generates billions of dollars in revenue each year. 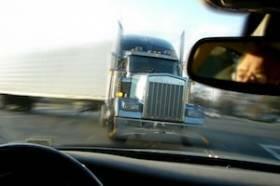 Large trucks, however, can also cause a great deal of harm to other drivers and passengers on the road. In fact, estimates from the Federal Motor Carrier Safety Administration (FMCSA) show that more than 1,000 truck crashes occur each year. Such accidents often involve other vehicles, of course, leading to the thousands of injuries and hundreds of tragic deaths. Why do so many truck accidents occur happen, and what can victims do to ensure they are compensated for their losses? While there are many potential reasons that a truck accident may occur, many are related to driver fatigue, alcohol or drug use, and speeding. In fact, data from the FMCSA shows these as the most common causes of truck crashes – nearly 90 percent of them, to be more specific. Other factors, such as those pertaining to weather and road conditions, vehicle maintenance, and other critical reasons accounted for just 13 percent of all serious or fatal truck accidents in a recent study.